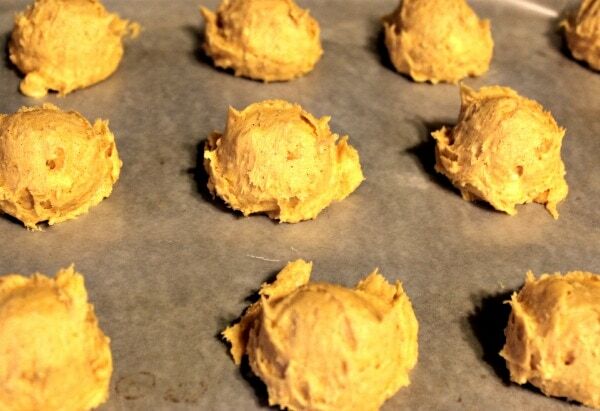 This pumpkin cookies recipe is brought to you by Good Cook Kitchen Experts. Products were received to help me create this recipe, but all opinions are my own. 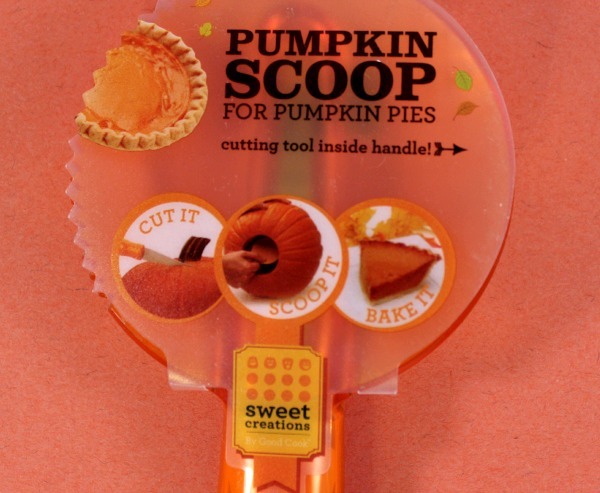 Using the Good Cook Pumpkin Scoop allows you to put those Halloween pumpkins to good use. Create your own fresh pumpkin puree with ease with this handy device that is available at Walmart. Since we’ve been pumpkin crazy lately, I thought I would create some pumpkin cookies. My goal was to use up the Betty Crocker Sugar Cookie mix that I had in the cabinet. I also somehow accumulated 4 bags of white chocolate chips so I added them, too. If you know me at all by now, you know I only do easy recipes! If you’re not eager to dissect and remove the innards of a pumpkin, a can of pure pumpkin works just fine in this cookie recipe. However, if you find yourself carving pumpkins anyway, use the tool above to get the nice, fresh stuff! After a few whoopsies in the kitchen (like, waxed paper cannot go in the oven – DUH – supposed to use parchment paper), these cookies turned out to be scrumptious. Clearly, I can use some #Thanksgivingtips! These aren’t quite Christmas cookies, maybe we can call them Thanksgiving cookies? Is that a thing? In any case, they are easy enough to make whenever the craving strikes. It’s fun to play around with sugar cookie mix to come up with different flavors. Create unique combinations with different flavors that you add to the mix, plus whatever you add in like, chips or nuts. Let us know if you come up with something delicious. Leave us your suggestions in the comments below. 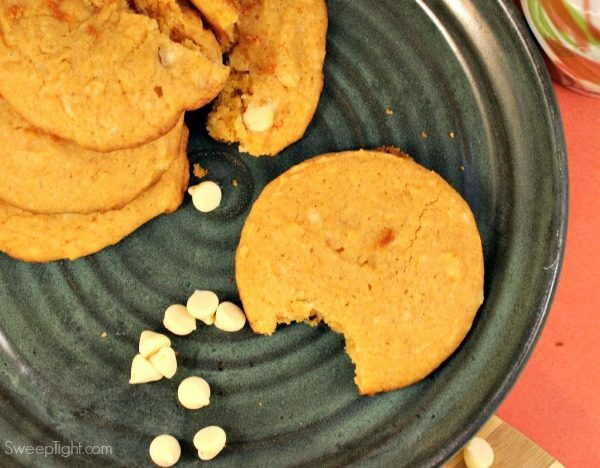 Super easy to make pumpkin sugar cookies with white chocolate chips. Drop cookie dough onto an ungreased cookie sheet. Bake at 350 degrees between 7-11 minutes. Check out Good Cook Bakeware and make sure you have everything that you need before the holiday craziness. They have high quality items at great prices. That’s another thing I am learning – to take inventory of my kitchen before tackling any holiday baking. Am I using baking soda that expired in 2009? Does my cookie sheet look like it’s been in the road? Where’s the other arm for my mixer? You get the point. Baking for the holidays should be fun – not stressful. Get organized first so you can enjoy the experience with your family. Have you ever tried pumpkin cookies before? Do you think you’d like them? Wow! That scoop looks so cool! I could really use that in the kitchen! THANKS! Yummy, these look scrumptious! I love that scoop, I so need one asap! I love pumpkin everything, but they are hard to work with! Pumpkin cookies sound delicious. I have leftover pumpkin right now to use up! This is a good recipe and it is really good timing since we have a lot of pumpkin in our fridge right now that we need to use up. Hello yum! 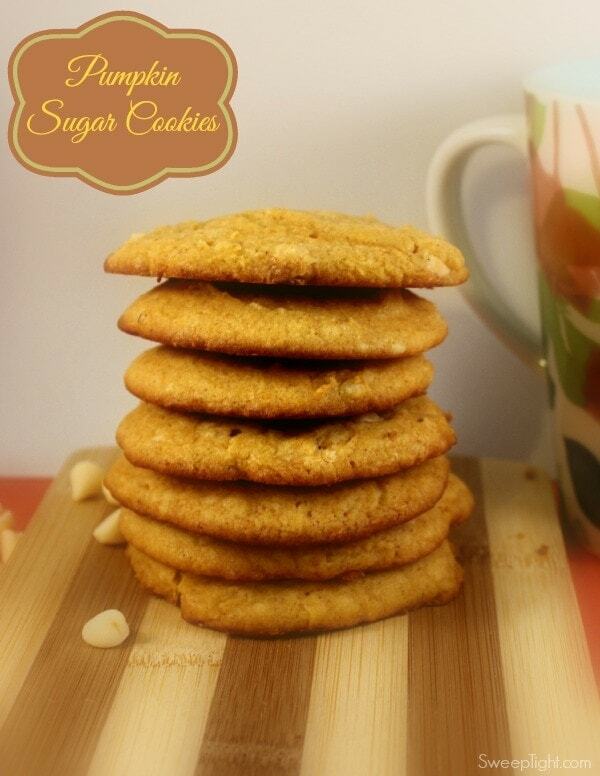 I love the idea of Pumpkin Sugar Cookies. That pumpkin scoop is genius. Awesome scoop and even yummier recipe! i love cookies. there’s so much to love about them all!! Those cookies look yummy. And I RSVP’s for the Twitter Party. I hope I can make it! I have never had pumpkin sugar cookies. I bet these really are wonderful! I’m not sure I’ve ever made pumpkin cookies and I so want to do that!!! They look so tasty! 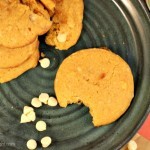 I have never make pumpkin cookies but this ones look yummy and intriguing! I got all the ingredients so I’m planning on making them tomorrow. I made the cookies tonight but instead of using white chocolate I use milk chocolate! My kids love them!! I love pumpkin anything. These cookies look wonderful. Thank you for sharing.